USA Trophy is Orange County's best value for trophies. Since 1996, our locally-owned trophy store has provided thousands of satisfied clients with high quality trophies at affordable prices. These trophies have been used to acknowledge businesses, organizations, sports leagues, academic leagues, tournaments, nonprofits, employees, fundraisers, and more. At USA Trophy, our priority is serving each and every one of our customers with our knowledgeable expertise, high quality trophies, and exceptional customer service. In our two decades of experience, USA Trophy has frequently worked with volunteers, coaches, and event managers who need trophy awards to recognize their top players, students, or participants. To ensure you receive the right trophy award for your occasion, we'll go over all aspects of your order including budget and quantity, and can also look through online catalogues from vendors for style and design options. Trophy colors can be seasonal, match your team colors, or customized any way you like. All of the engraving work for our trophies is done on site. USA Trophy also carries a large inventory for last minute orders and can offer clients excellent prices if they order from what's in stock. From trophy designs and styles to budget restrictions, we're happy to consult with you about any aspect of ordering a custom award to determine the best trophy, plaque, or medal to honor your outstanding individuals. Trust USA Trophy to provide you with the best trophies in Orange County. 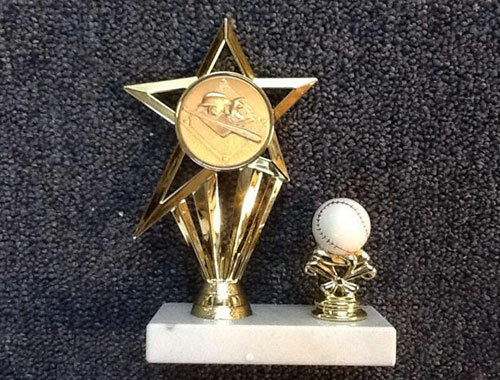 Our trophy store prides itself on offering personalized service and quick turnaround time at affordable prices. Whether you're ordering one trophy or a hundred, we do our best to make the process easy for our customers. We also offer shipping, free engraving with all trophies, and free quotes. To learn more, give us a call today or visit USA Trophy at our Laguna Hills, California, location. Our showroom hours are 12:00 p.m. - 8:00 p.m. Monday through Friday. We can also accommodate weekend appointments by request and are ALWAYS reachable by email, phone, and fax after hours. Ask about special discounts for sports teams and nonprofit organizations.